Metric Female standoffs are spacers that are used to hold two components at a given distance from each other. They are either hexagonal or cylindrical in diameter and have partial or complete internal threads at both ends. Metric round female standoffs are less popular than hexagonal female standoffs and are used in applications where wrenching of the standoff is not required. Metric threaded hex standoffs can be installed with a nut setter or other wrenching device and are typically used to mount or position circuit boards, panels, doors, gears and other electronic components and hardware. 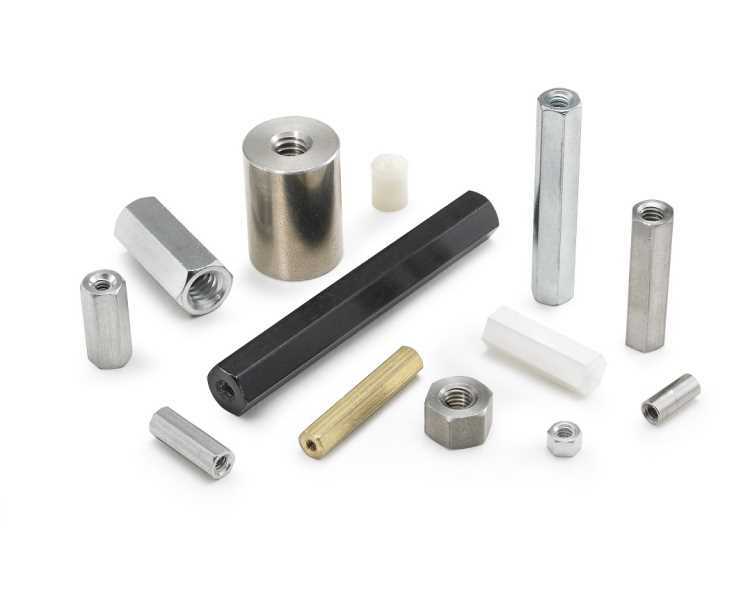 RC Fasteners & Components provides a variety of superior quality metric female standoffs at competitive prices. We offer 4.5mm Hex Female Standoffs and 6mm Hex Female Standoffs in stainless or aluminum with lengths ranging from 3 to 15mm. Our hexagonal female standoff inventory and pricing is bound to keep you coming back. Contact an RC electronic hardware specialist to find out more about the round and hex metric female standoffs we offer in a variety of materials and platings. Brass is used in making high quality standoffs. It’s conductive, resists corrosion and is non-magnetic. It is costlier and heavier than aluminum and is usually plated zinc or nickel. Nylon is a good insulator that is nonconductive and has a surface smoothness that will not fray the insulation of wires that rub against it. RC fasteners & Components is your number one source for quality, low price standoffs at wholesale prices. Place your order today or contact us to learn more about our metric female standoffs.